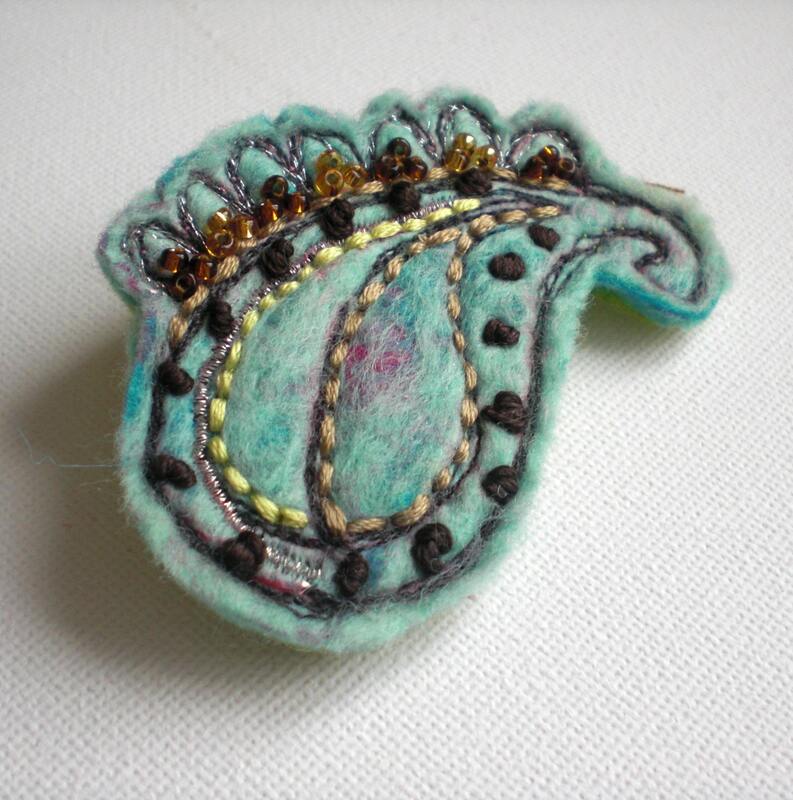 Delicate and stylish Textiles paisley brooch, created entirely from fibres and threads. The base is a handmade felt, using the wet felting method, combining turquoise with a subtle hint of magenta. The paisley design is free machine embroidered in chocolate brown, enhanced with a shimmering silver metallic thread. The design is defined with a sprinkling of hand beading in gold and bronze seed beads, and some hand embroidery in pastel green and beige, with a swirl of chocolate French knots.